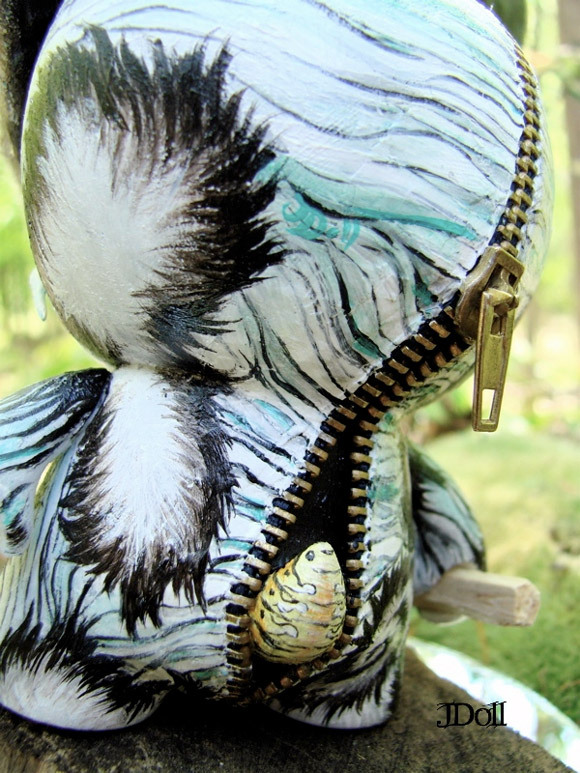 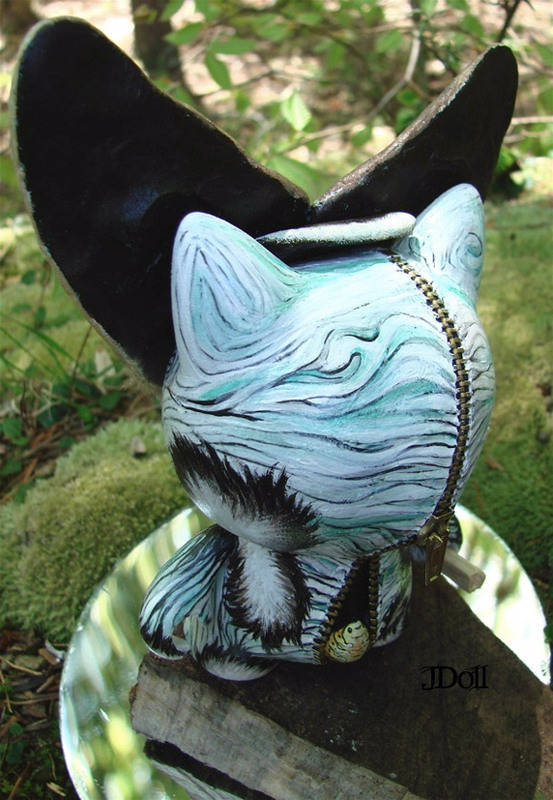 Jennie Doll from Virginia is this weeks MUNNYWORLD Highlight winner. 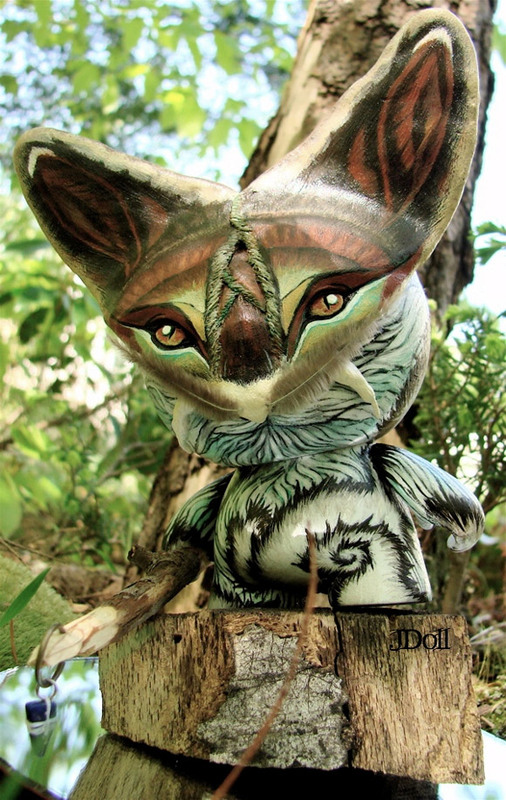 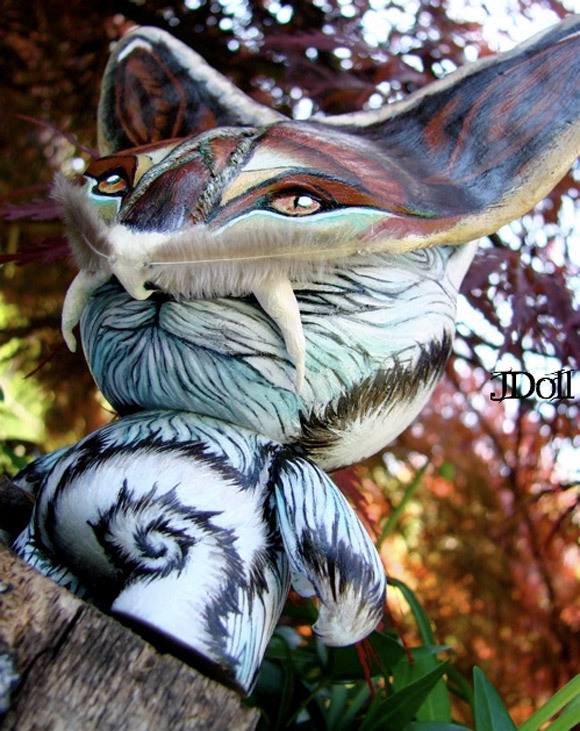 This multi medium masked marauder is a custom 4-inch TRIKKY named Vulpes Pavonia. 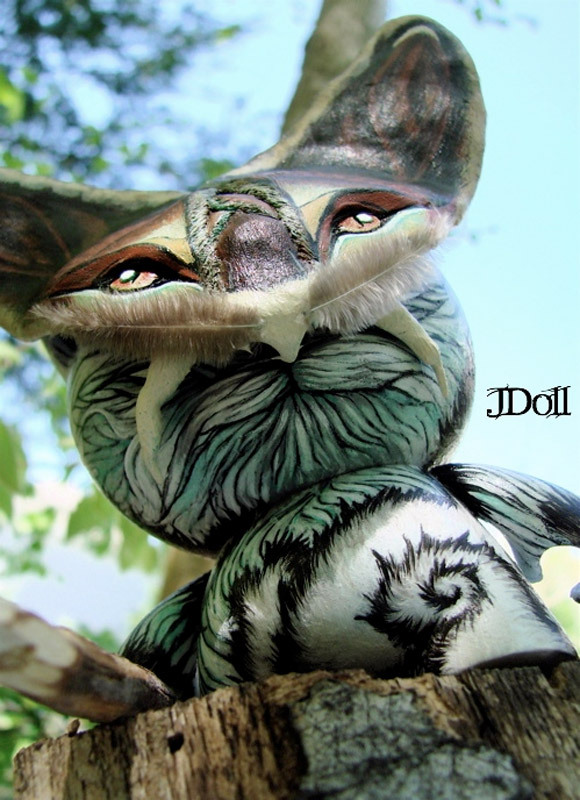 Check out more of J. Doll’s art here.